Part 2: What Our Federal Government Thinks! 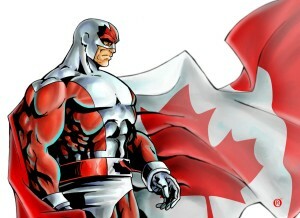 Captain Canuck "punches above his weight." In part 1 of this post, titled "Do We Really "Punch Above our Weight?" I compared CSA activities to those of other national space programs with equivalent budgets such as the Iranian Space Agency (ISA), the UK Space Agency (UKSA), the Brazilian Space Agency (AEB), the South Korean Aerospace Research Institute (KARI) and the National Space Agency of the Ukraine (NSAU). The conclusion reached was that space agencies with budgets in the $200 - $500 million dollar per year range all generally have a useful combination of rockets, astronauts, robotics and strong science programs just like Canada. Sometimes, their stuff is even better than ours. So while the CSA is doing some interesting things, we're not necessarily "punching above our weight" or performing on the international stage in a manner all out of proportion to our funding. But here's where it starts to get interesting. While the CSA lists an annual budget of $300 million dollars per year on the CSA FAQ's web page, almost no one in government (or anywhere else for that matter) actually believes the CSA budget is that small. 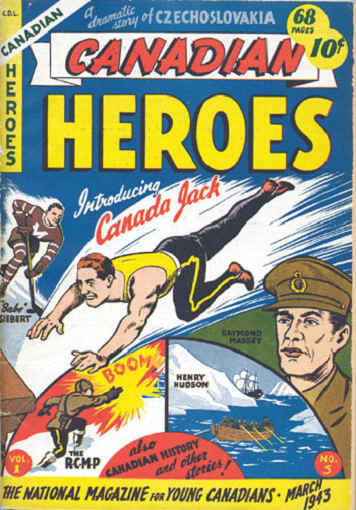 Canada's first superhero. Often forgotten. The $397 million CDN allocated over five years by the federal government in 2010 specifically for earth observation satellites commented as described in various media reports including a March 4th, 2010 SpaceRef.ca article "RADARSAT Constellation Mission get Funding in Budget"
The $110 million CDN economic stimulus package to support new space technologies including the next generation Canadarm as described in the March 5, 2010 Spaceflight.com article "CSA will fund a Next Generation Canadarm." A smart politician will also immediately realize that several billion additional dollars are also available for general research and science through other federal government departments. 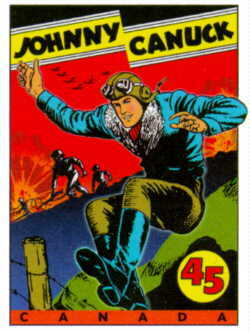 Johnny Canuck. Wholesome, but simple minded. These programs are included as part of the budgets of Defence Research and Development Canada (DRDC) with its $300 million per year budget, the National Research Council (NRC) with it's larger $800 million per year budget, the Natural Sciences and Engineering Research Council (NSERC) with it's even larger $958 million per year budget and quite a few other departments and councils which can (and often do) end up funding space focused or CSA originated programs. These additional funding sources are on top of the formal CSA budget. As well, each of these other departments (except for DRDC) is also tasked by the federal government with the very same mission to "drive innovation" as the CSA. 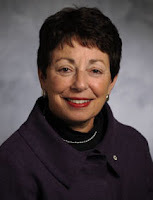 They're each governed by the current Industry Canada science & technology strategy as outlined in documents like the Mobilizing Science and Technology to Canada's Advantage (May 2007) and the Mobilizing Science and Technology to Canada's Advantage Progress Report (June 2009). Those two documents are the closest thing Canada has had to a long term space strategy since the 2003 publication of "The Canadian Space Strategy." Canada Jack. Acrobatic, skilled gymast. In essence, the federal government considers the CSA as a smaller part of the larger subset of research and development agencies to which it already allocates several billion dollars each year. But the Industry Canada policies focus on commercialization, which is well outside the traditional exploration and development mandates of previous CSA long term space plans. The CSA doesn't even officially track commercialization, but instead tends to focus on hiving off successful technologies (like communications satellites and Earth imaging) to private industry and small business where they often become widely successful, but never really contribute to the perception of CSA expertise, success or the fulfillment of Industry Canada mandates. And the politicians perceive of this as being all the same crap (or government funding bucket), for the same purpose (to drive innovation and create jobs) but from different piles (or government agencies). Wolverine. Effective, current and also Canadian. So when CSA president MacLean asks for two billion additional dollars, the standard government response is to smile politely and then ignore him even though he's asking for the money to perform a traditional mandate that other agencies won't contemplate. But the government just doesn't perceive these difference between the CSA and other Industry Canada departments and the consensus is that they're already contributing billions of dollars to an activity which the CSA doesn't seem to understand very well, but should. Now the government perception doesn't automatically have to be this way and even if it stays blinkered, there are steps that can be taken to grow the CSA budget and build credibility for space focused exploration and development activities, just so long as we remember that we also need to include a commercialization aspect (plus track successful projects and commercial spin-offs). How to go about doing that will be the subject for part 3 of this post. Part 1: Do We Really "Punch Above our Weight?" Back in November of last year, I presented a paper at the 2010 Canadian Space Summit titled "Two Billion Dollars for the Canadian Space Agency: Historical Antecedents, Available Options and a Realistic Appraisal of the CSA’s Chances of Ever Getting a Funding Increase." If you want to do a first rate (job) on some of the examples (of potential CSA projects) I gave you, you are looking at an additional budget of $2 billion over five years. That will put us at the table. That will drive innovation. I've always been one of those people wanting to drive innovation. But I've also always wanted to see what $2 billion spread over five years could allow the CSA to accomplish, where the money could come and how our current opportunities compare to earlier opportunities and previous Canadian long term space plans. There are no obvious answers to those questions but here's what I found. 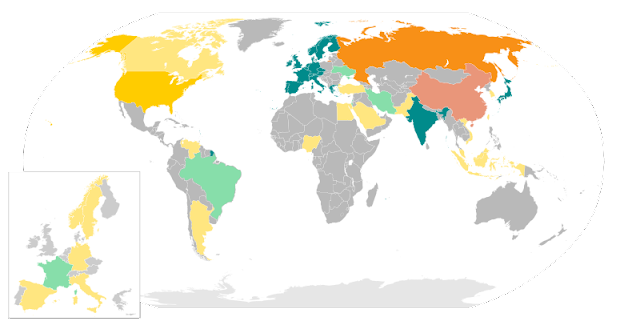 Nations with active space programs color coded by capabilities c/o Wikipedia. If we compare the annual CSA self described budget of approximately $300 million CDN (according to the CSA FAQ page) with the budgets of 20 other national space agencies, we find that the CSA is ranked 13th among the top 20 national space agencies in terms of funding, at least according to the current Wikipedia entry. This really isn't all that bad given that we're ahead of most everyone else except for the big, billion dollar plus a year players like the National Aeronautics and Space Administration ($19 billion per year), the European Space Agency ($5.4 billion per year), the French Space Agency ($2.59 billion per year), the Japan Aerospace Exploration Agency ($2.46 billion per year), the Russian Federal Space Agency ($2.4 billion per year), the German Aerospace Center ($2 billion per year), the Chinese National Space Administration ($1.3 billion per year) the Indian Space Research Organization ($1.27 billion per year) and the Italian Space Agency ($1 billion per year). 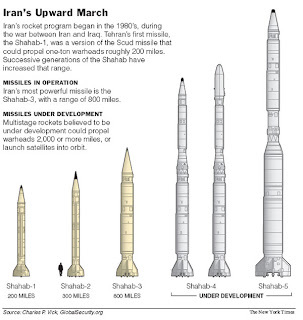 The Iranian Space Agency (ISA) with an allocated budget of approximately $500 million USD and few international avenues for co-operation is focused almost entirely on doing everything internally (with perhaps some Chinese assistance). 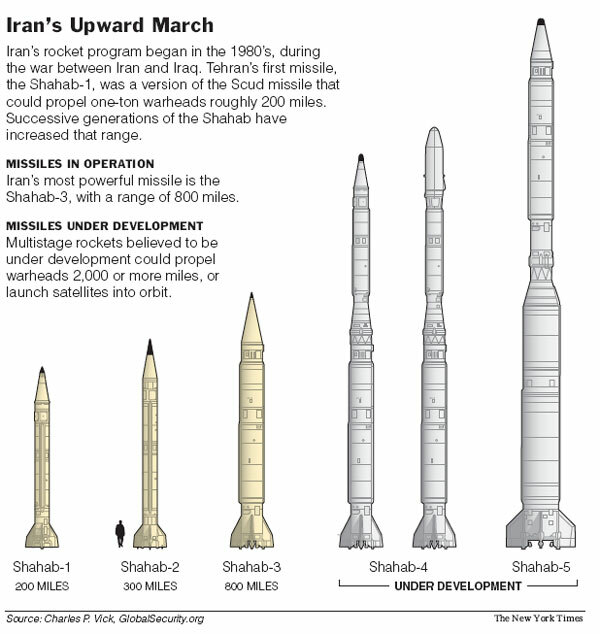 The country is “orbital capable" (starting with the Shahab-3 rocket), has launched and recovered live animals from suborbital trajectories and is slowly moving towards a manned space program. The new UK Space Agency (UKSA), formed in April 2010 with an allocated budget of approximately $415 million USD is building strong international partnerships with the European Space Agency, NASA and India but also focused internally on the development of game changing “breakthrough” technologies in collaboration with private business and public educational facilities such as Virgin Galactic, Reaction Engines Ltd. (the developers of the Skylon space plane), Surrey Satellites and others. UK launches new space agency. Uploaded by itnnews. 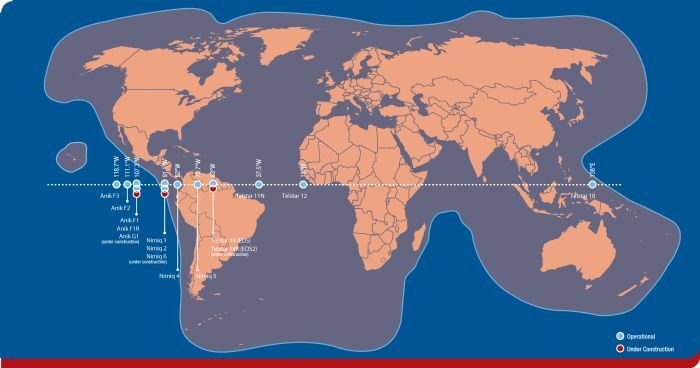 The Brazilian Space Agency (AEB) with an allocated budget of $343 million USD focuses on joint technology development, initially with the US, but also with China, Russia and the Ukraine. The agency has current suborbital rocket launch capabilities (the Sonda series, plus the VSB-30, VB-30 and VS-40 rockets) and a history of ITAR related issues with the US, mostly because of it's ongoing Southern Cross orbital rocketry development program in conjunction with the Russians. 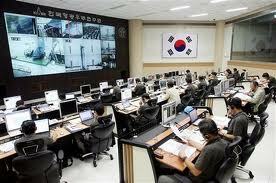 The control room of the NARO Space Center in South Korea. The South Korean Aerospace Research Institute (KARI) with an allocated budget of $300 million USD focuses primarily on aerospace technology, but has used partnerships with others to develop the NARO Korean Space Launch Vehicle, various unmanned aerial vehicles, high-altitude airships, and a next-generation multi-purpose helicopter project. In addition, several satellites, including the KOMPSAT (also known as Arirang) Seriese, the COMS (Communication, Ocean and Meteorological Satellite), and the STSAT (Science and Technology Satellite), are developed, operated, or under development by KARI. The National Space Agency of the Ukraine (NSAU) with an allocated budget of $250 million USD benefits from the legacy infra-structure it shares with Russia and is perhaps the most capable of the five organizations. The NSAU oversees a variety of launch vehicle and satellite programs with the Russian Aviation and Space Agency, the European Space Agency, NASA, and commercial ventures such as the Sea Launch and the Galileo positioning system. NSAU rightly brags that 20% of space launches in the world are made using Ukraine rockets such as Zenit, Cyclone and DneprSince. The country has produced and launched more than 400 satellites and has a strong astronaut corps. 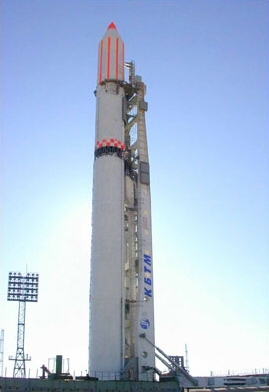 Zinit 2 at Baikonor Cosmodrome in December 2001. The tentative conclusion seems to be that a specific dollar amount doesn’t necessarily limit available options when running a space program. After all, our direct national competitors with equivalent budgets also have rockets, astronauts and strong science and technology programs. In fact, a cursory look at the competition would seem to indicate no specific area where Canadian's really punch "above our weight" in space. If any organization stands out, it's NSAU, with the smallest budget but 20% of the worlds satellites launching on Ukraine rockets. Of course, much seems to depend on history (the Ukraine was once a part of the old Soviet Union) present partnerships, existing infrastructure and national requirements. But some of it also seems to depend on the conscious choice of the program administrators and the national governments which place restrictions on space agencies, no matter how big the budget. So the CSA isn't necessarily limited by it's budget but might be limited by our federal government and the perceptions of CSA administrators. Why would the federal government and our CSA set out to "limit" space activities? 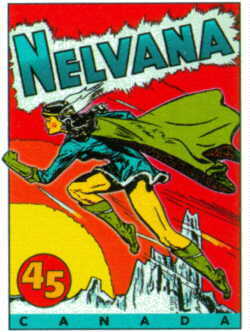 We'll discuss those issues and the federal governments perception of our Canadian space program in part 2 of this post. It's not the BC based firm that you'd expect to be involved in this type of activity (although that company is also in the race) and it's certainly a long shot to win. 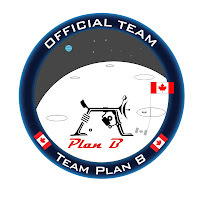 But according to the February 20th, 2010 Canadian Press article "Canucks aim to land puck on the Moon," a tiny British Columbia based small business has come in just under the wire to register for the Google Lunar X-Prize, a competition with twenty-eight other teams from seventeen countries and $30 million in total prize money for those able to soft land a robot on the Moon and then transmit video images, photo's and data back to Earth. According to Alex Dobrianski, team leader of BC based Team Plan B during a phone conversation Friday, "my expectation going into this competition is to win." Maybe there's a one in 100 chance that the first X-Prize contestant will succeed but those odds will increase each time we try. Subsequent attempts, using knowledge gained from the first attempt will turn this into something that we can do. Dobrianski says his team, initially self funded with $100,000 seed financing through this company, Adobri Solutions Ltd., will include his two sons, Sergei (who will act as web master) and Andrei (who holds an electrical and computer engineering diploma) plus Alex Ivanov, a 52-year-old friend and PhD in physics with over 25 years experience in the fields of ultrasound, physical acoustics, and cryogenics. Russian rocket engineer Boris Chertok. Dobrianski downplays his own skills, which include a Masters degree in mathematics and 28 years of expertise with all type of software and hardware design and implementation including ancient mainframe computer’s systems simulation, antique real time systems, archaic video processing and primitive telecommunication systems. This skill set suggests (to me at least) that Dobrianski and company might indeed be the people who could calculate some of those mathematical formula's needed to achieve orbit, lunar insertion and Moon landings. Of course, for those who won't take my word for it, the details of the Plan B proposal are outlined on the Adobri Solutions website where people can judge for themselves whether or not the plan will fly. 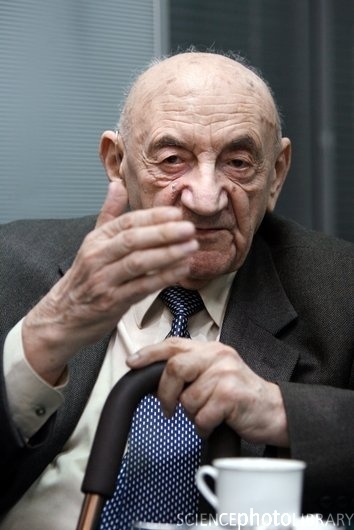 As for Dobrianski, he credits the mission philosophy to Boris Chertok, a prominent (and long living) Soviet and Russian rocket designer, responsible for the control systems of a number of ballistic missiles and spacecraft. As for me, I'm all for long-shots and my favorite story has always been how a couple of bicycle builders named Orville and Wilbur Wright managed to beat well funded and government supported experimenters such as Ader, Maxim, Langley and Santos-Dumont to build the world's first successful airplane. 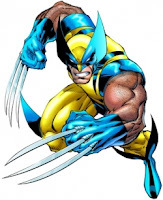 But my personal best guess right now is that this particular BC based team is facing an uphill struggle. They need a couple more actual rocket scientists, funding experts and angel investors among their team to make a decent go of it. After all, competition for this particular X-prize is fierce and includes Isle of Man based Odyssey Moon (with the slightly better known BC based Macdonald Dettwiler as its prime contractor) and Silicon Valley based Moon Express. Both were formed by Robert Richards, a well known Canadian space focused entrepreneur who recently left Canada for greater "availability of capital." Other serious competitors include the Huntsville, Alabama based Rocket City Space Pioneers, Carnegie Mellon University based Team Astrobotic and Team Next Giant Leap, which recently received a $1 million grant from the Charles Stark Draper Laboratory. X-Prize registration, which includes a $10,000 registration fee, allows privately funded teams a chance at a total of $30 million in prizes for landing a robot on the surface of the Moon, traveling 500 meters over the lunar surface and then transmitting images and data back to the Earth. Teams must be at least 90% privately funded, though commercially reasonable sales to government customers are allowed without limit according to the "About the Google Lunar X-PRIZE" page. The Canadian Space Agency (CSA) has finally released the 2009 State of the Canadian Space Sector Report. The document, which tracks Canadian private sector space activities is normally released the following November after the data is collected, but this years report seems to have been held up until last week. According to the February 10th, 2011 SpaceRef Canada article "CSA Releases 2009 State of the Canadian Space Sector Report - Revenues & Jobs Up" the key points in the report are that revenues increased by 8% over 2008 to $3.025 billion, surpassing the $3 billion mark for the first time and with workforce growth continuing strong. 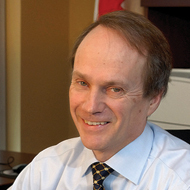 Considering that the report covers 2009, the first full year of the great recession, and the growth of the overall Canadian economy for that year was essentially zero (at least according to the Statistics Canada data collected on the Trading Economics website), the strength of our commercial space industry seems impressive. It's only when you start comparing the Canadian growth rate with the larger international space market, previous years reports and with a year old comparison of the rates of innovation among industrial nations from the Conference Board of Canada, that the picture grows less rosy. While the global economic crisis grabbed the headlines daily in 2009, the global space industry experienced steady growth throughout the year. Estimated space industry revenue and government budgets increased by 7%, to $261.61 billion. This amounts to 40% growth during the previous five years for the global space economy. So the Canadian space industry has grown only a little faster than average over the last year (7% internationally as opposed to 8% in Canada) when compared to the space industries of other countries. But we're still quite a bit further behind when it comes to the longer term. Conference Board head Anne Golden. Over the last five years, Canadian growth has only been around 25% and most of that occurred in 2008 (which recorded a 17.8% increase over 2007). The executive summary of the 2007 State of the Canadian Space Sector reports a noticeable .25% decrease over reported 2006 revenues. The executive summary of the 2005 State of the Canadian Space Sector reports only a slight 2.3% increase over reported 2004 revenues. The annual growth rate also compares poorly with the international growth rate of 40% for the same period. In essence, Canada right now is performing about average for the industry (after several years of below average performance) and still has a ways to go in order to excel. Which brings us to a year old report from the Conference Board of Canada. This private, not for profit organization (seemingly able to write reports far faster than the CSA) tracked 17 industrialized nations on the ability to turn knowledge into money-making products and services during this same period. According to the February 2nd, 2010 Financial Post article "Canada gets D for innovation: Conference Board:"
Canada gets a D in innovation, according to a report card issued Tuesday, ranking the country 14th among 17 industrialized nations for its ability to turn knowledge into money-making products and services. In a report from the Conference Board of Canada, this country ranked ahead only of Australia, Italy and Norway for innovation. Switzerland, Ireland and the United States topped the list. The Canadian economy remains a below-average performer on its capacity to innovate. Innovation is essential to a high-performing economy. It is also critical to environmental protection, a high-performing education system, a well-functioning system of health promotion and health care, and an inclusive society. Without innovation, all these systems stagnate and Canada's performance deteriorates relative to that of its peers. Canada has been slow to adopt leading-edge technologies. This is problematic, since innovative products have increasingly short cycles. Often within a couple of years of introduction, products are upgraded or must be replaced. In these circumstances, slow adopters never catch up; they are always at least one generation behind the advancing frontier of possibilities that new technology represents. That is not a winning formula, and Canada seems to be playing catch-up on too many technologies. The problem shows itself in Canada’s relatively low productivity level. As other countries develop and adopt more innovation-related business methods, their companies are gaining in productivity more rapidly than Canadian companies. With new key players in the global economy such as China, India, and Brazil, Canadian businesses must move up the value chain and specialize in knowledge-intensive, high-value-added goods and services. Although Canada has some leading companies that compete handily against global peers, its economy is not as innovative as its size would otherwise suggest. It's also worth noting that the 2008 State of the Canadian Space Sector reports manufacturing revenues down from $696 million in 2008 to $605 million in 2009 so maybe the Conference Board is right and Canadians are having a difficult time turning knowledge into innovative money making products and services. In our defense, the Conference Board does seems to consider Canadian aerospace and space focused industries as the best of a seemingly bad lot. But we're essentially still only average, even with our CanadArms and robot lunar rover programs. We should be getting better. Previous years editions of the Canadian Space Sector Report (going back to 1996) are available on the State of the Canadian Space Sector website. They're worth a read. Here's a quick heads up for Canadians hoping that our biggest space partner, the National Aeronautics and Space Administration (NASA) is going to get it's budgetary act together anytime soon. 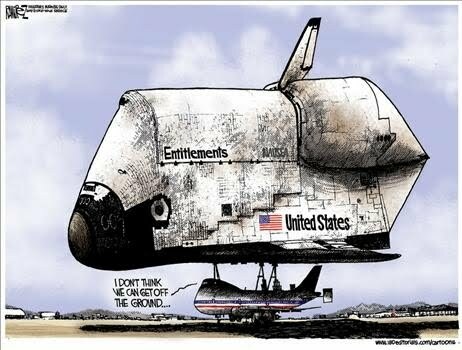 The real reason NASA retired the space shuttle. The latest proposed Obama Administration FY2012 budget is simply the most recent stage of a very long and drawn out process that is officially scheduled for completion sometime before October 2011, when the next FY is scheduled to begin. 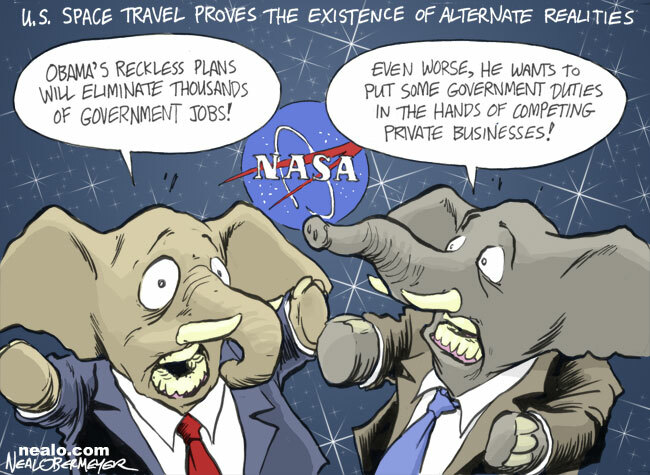 Of course, the Americans haven't even approved last years budget yet so NASA is operating under continuing resolution HR 3082 (passed by the US House of Representatives on Dec. 21, 2010) which mandates NASA spending rates proportional to the $18.72 billion appropriated for all of 2010, according to the December 22nd, 2010 Space News article "Obama Signs Short-term Funding Bill." Proving the existence of alternate realities. This means that all those wonderful new initiatives and changes promised last year at about this time by the Obama Administration are officially still on the drawing board. 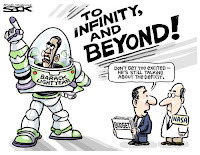 NASA is prohibited from initiating new programs and continues funding the very same Constellation program Obama tried to abandon in his last NASA budget, the $19 billion budget blueprint for 2011 that was sent to US lawmakers back in February 2010. According to the February 14th, 2011 Tallahassee.com article "NASA budget freeze slows rocket development" the existing NASA budget would be frozen "for the forseeable future" under the new fiscal 2012 spending blueprint released today and the freeze "would mean slower rocket development, which is expected to anger members of Congress." Of course, the real reasons for the current US budget woes have little to do with NASA or angry congressional representatives and everything to do with "a $3.7 trillion budget that projects the federal deficit will exceed $1 trillion for the fourth consecutive year in 2012 before falling to more "sustainable" levels by the middle of the decade" according to the February 13th, 2011 Bloomberg report "Obama's $3.7 Trillion Budget Sets Fight in Congress." 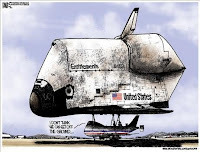 So the NASA budget is really just a sideshow, and everything actually depends on the US government being able to wrestle the larger budget deficit under some sort of control. It's therefore fortunate that real changes are occurring among the up and coming commercial space providers. For example, according to the February 14th, 2011 Satellite Spotlight article titled "NASA's Commercial Space Revolution:"
Last week, NASA Chief Administrator Charles Bolden told attendees at an FAA Commercial Space Transportation Conference that "We need you, we cannot survive without you." The week before, NASA Deputy Administrator Lori Garver swept through Las Vegas to highlight a discussion with Bigelow Aerospace to launch an inflatable module to expand the International Space Station (ISS), then went to Boulder, Colo., to tour Sierra Nevada's facilities and get a photo op in front of the company's Dream Chaser spaceplane mockup. NASA is supporting these new-space commercial providers because they no longer see any way to move forward without them and this might indeed be the correct assessment of the situation. Bigelow, Sierra Nevada, Space-X and the others of their ilk require far less up front funding to develop usable hardware. For example, it's worth noting that all the money Space-X has received so far under various NASA funded commercial crew development (CCDev) programs have funded to completion two perfectly useful and functioning rocket systems (Falcon-1 and Falcon-9) at one thirtieth the cost spent on the NASA developed Ares rocket, which has a new name ("Liberty") and a new second stage (from the European company EADS Astrium), but is still not quite finished yet. 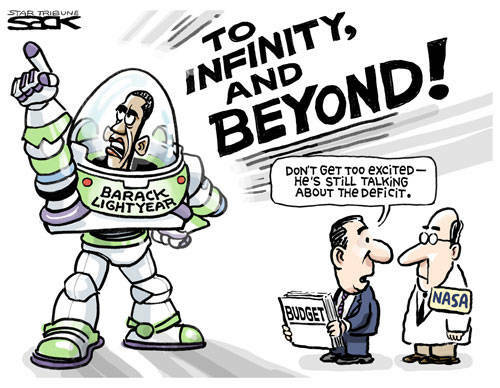 After all, that trillion dollar a year federal deficit is quite the hole to dig out from under.The US government has a lot of work to do in that area, before it can reasonably begin to focus again on science, technology, space or even health care reform. Here is a recently released video summarizes the evolving US consensus on where space exploration is at this particular moment in time. Both Bolden and Garver seem to have staked their professional careers on this new approach and seem to be developing allies and associates throughout industry. Canadian scientists, space agency employees and consultants might want to take note of this emerging US consensus and begin planning, adapting and modifying future Canadian space plans accordingly. We can no longer make assumptions regarding the long term viability and direction of the US space program without taking these new players with their own independent funding and ways of looking at the world into account. Otherwise, it's good luck to us. As recently as my June 19th, 2010 post "Venture Capital and New Space Investments" people like Investors.com author Brian Deagon could be authoritatively quoted as stating that the venture capitalists who provided seed funding for so many other industries have so far stayed away from commercial space activities. But even then, this wasn't totally accurate. 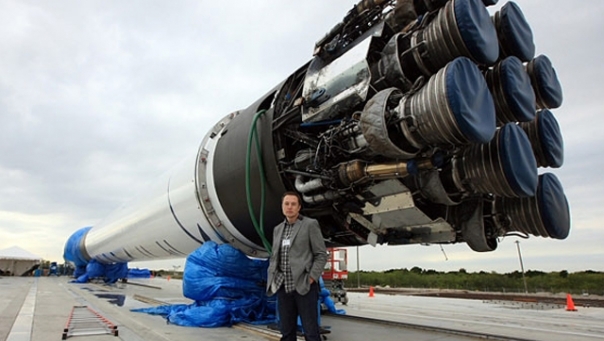 The June 19th article references two small venture capitol investments in Space-X (from Founders Fund and Draper Fisher Jurvetson) and X-Cor Aerospace (from Boston Harbor Angels) and suggested they were the beginning of a trend. 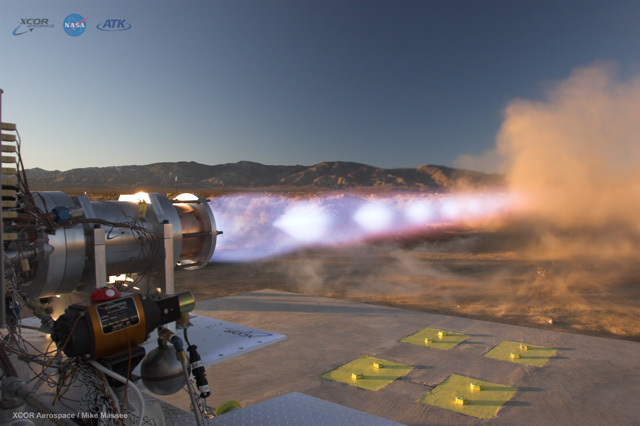 2007 X-Cor liquid methane rocket engine test. Several other VC investments have surfaced since then (for example, private equity firm Nevis Capital and others have invested in Glasgow based micro-sat company Clyde Space according to the January 31st, 2011 Rocketeers UK article "Clyde Space secures £1M funding" and an "unnamed Canadian teachers pension" even invested in the failed Space-X competitor Rocketplane Ltd. as outlined in my December 14th, 2010 post "Canadian Teachers Funding American Rockets."). These deals are more than just the signing of letters of agreement such as was announced in the December 20th, 2010 National Aeronautics and Space Administration (NASA) press release titled "NASA Selects Companies for Future Lunar Demonstration Data" which lists three companies receiving delivery orders under the Innovative Lunar Demonstrations Data (ILDD) project to develop vehicle capabilities and demonstrate end-to-end robotic lunar landing missions. None of the ILDD participating companies will receive any money until they land on the Moon, collect and then transmit the required data back to Earth. But venture financing provides money up front and needs criteria for assessing the capabilities and competence of the start-ups in advance. Fortunately, some of the theoretical underpinning for this emerging industry are being slowly worked out in a variety of online locations such as The Space Show with Dr. David Livingston (one of the acknowledged experts on the commercial and business aspects of space) and the Space Cynics Blog (which recently began collecting information on advances in terrestrial solar power). 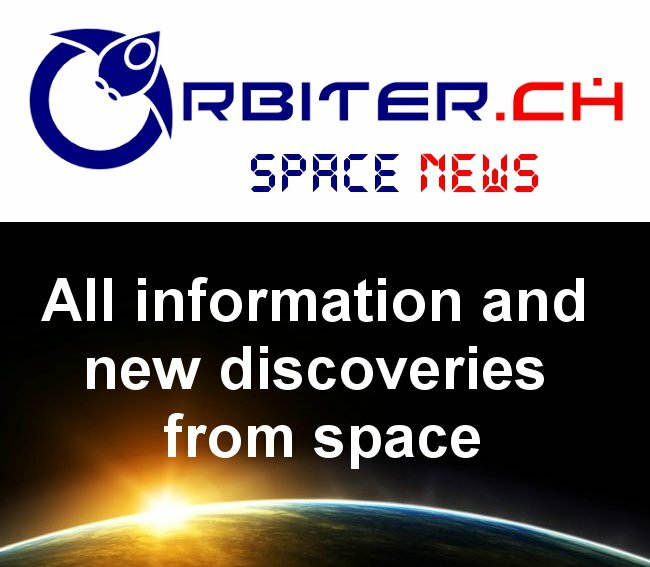 But lately, the best assessments of the commercial validity of some of the more exotic space focused business plans have been coming from the Space Business Blog. Asteroid Mining (under the title "Mining Asteroids is Hard"). The uses and cost effectiveness of low and geostationary Earth orbit tugs (the "LEO-to-GEO Tug series" where he calls it "Cheaper than a Delta IV Heavy"). The series on "Servicing Iridium's Satellite Constellation." An interesting application for something called the Variable Gravity Research Facility under the title "Gravity for Sale." An article on "Lunar Property Rights; A Moon Base Business Case" which bounces around the idea of using lunar land grants to fund a Moon base and compares it to the railroads of the 19th century, which used land grants to fund their westward expansion. All in all, the blog is fascinating reading, providing insight into business opportunities we are just starting to become aware of. We need more of these public assessments of space business concepts in order to begin laying the groundwork for future investors. As mentioned at the start of this piece, they are the beginning of a trend. There are a lot of robots aboard the International Space Station (ISS) these days but only one of them is our iconic and Canadian built CanadArm. 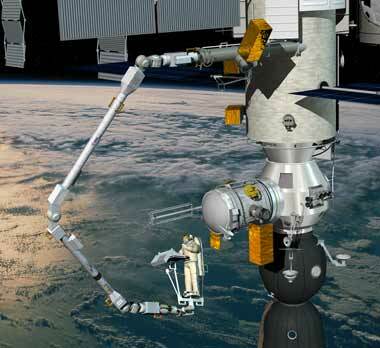 Image of the European robotic arm on the ISS. The Japanese Aerospace Exploration Agency (JAXA) has the JEM RMS and the Small Fine Arm (SFA) while the European Space Agency (ESA) makes do with the European Robotic Arm (ERA) and the Russian’s use Strela, a manually operated robotic device. Even General Motors has Robonaut, built in collaboration with the National Aeronautics and Space Administration (NASA) under an agreement to develop “robotic assistants” for both astronauts and GM manufacturing plant employees. Given the above, does Canada still enjoy that historic lead in robotics we once used as leverage for Canadian astronaut trips aboard 13 NASA and two Soyuz manned missions over the last two decades? Some of my colleagues over at the Canadian Space Commerce Association (CSCA) think that perhaps it's time to assess this changing landscape and get a grip on the evolving opportunities for Canadian businesses looking to leverage their space focused technical expertise on the world stage. 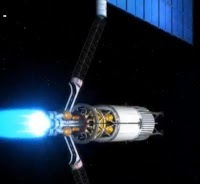 The VASIMR electric propulsion system. We're looking to begin this discussion at the 2011 CSCA conference and annual general meeting focused on “The Next Breakthrough Space Technologies for Canada” which is being held on Friday, March 18th, in the MaRS Development District in Toronto, Ontario. All are welcome to attend and speakers and registration information will be posted on the CSCA website over the next few days. What are the next “breakthrough” technologies that will allow Canadian companies to continue “punching above our weight” in the international arena? Should we be looking at Martian rovers, or electrical propulsion technology, or or a next generation Canadarm (perhaps optimized for in-orbit servicing) or new devices for measurement and detection? Does Canada need the capability to launch small orbital payloads to defend our arctic sovereignty? How will the budgetary challenges and confusion occurring at NASA affect the capabilities and our ability to partner with our largest traditional space partner. Where are the next domestic and international space focused commercial opportunities going to come from? Or is there perhaps even something else on the horizon that we should be aware of? To find out for sure, you're just going to have to attend the conference. I look forward to seeing you there.